We are glad that you are making plans to attend your recruit’s graduation at	Fort Benning. Graduation from the recruit’s US Army training is an exhilarating experience for both the recruit and their visitors. This site will provide you an overall view of graduation schedules along with events surrounding the graduation. 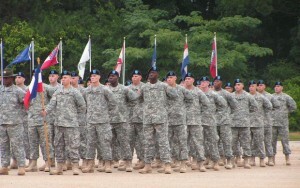 The graduation ceremonies are conducted weekly throughout the year for the various Army units located at Fort Benning. 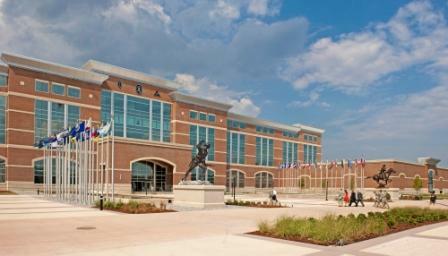 Via this site you will be able to review the many hotels available near Fort Benning. The greater Fort Benning area provides a diversity in dining experience from fast food to full service restaurants. Enjoy your time in the Fort Benning area. Graduation dates shown here are subject to change. Be sure to communicate with your soldier for the most up to date information concerning graduation locations and times before making travel arrangements. Please click here for the complete graduation schedule of Fort Benning. Fort Benning is located in west central Georgia about 12 miles south of Columbus, Georgia. Click here for more information on air, bus, and train transportation for Fort Benning. Fort Benning is a restricted Military base. Due to the restrictions and security precautions that are in place at Fort Benning you may experience delays obtaining entry onto the base. Always allow ample time to ensure you arrive at the graduation ceremony on time. Visitors of the recruits attending graduation ceremonies that are traveling by motorcycle must have in their possession a Motorcycle Safety Foundation Card. Without this card motorcyclists will NOT be allowed to ride their motorcycle onto Fort Benning. Whether your new soldier may take leave or a pass after the graduation ceremony is dependent upon their next destination. Please consult your soldier for further details on leave or passes graduation. Fort Benning regulations require the wearing of seat belts while traveling on the base. Regulations prohibit the use of cell phones without a hands free device. The penalty for using a cell phone without a hands free device is $50.00 and $25.00 processing fee. No pets are allowed at the graduation ceremony. The only exception is made for service animals.